While being bilingual is a positive, caution must be taken when the learning of one language negatively affects a child's future learning ability. Dyslexia in bilingual Maltese children is the subject of two research studies conducted by Maltese researchers - one at the University of Malta and another at the University of Southampton. Rachael Xuereb, 31, is undertaking a four-year Ph.D. research programme at the University of Malta aimed at developing a comprehensive diagnostic tool for reading and writing difficulties in Maltese children between the ages of eight and 11 (Grades 4 to 6). Louisa Grech, 30, has concluded a study on dyslexic Maltese children to obtain a Master of Science degree from University of Southampton, before proceeding with her own Ph.D. research on dsylexia. Ms Xuereb's study will examine children's reading, writing and phonological performance in both English and Maltese. The study also aims to identify the various bilingual groups in Malta, teaching practices in the classroom, literacy practices at home and their possible effects on literacy. To diagnose dyslexia or literacy difficulties in children, local professionals tend to use assessment batteries to diagnose British or American children. However, these tests are usually standardised on children who speak only one language. In Malta, children are usually bilingual to some degree, with reading abilities that are different to those of English-speaking children. Ms Xuereb realised that there is dire need of a test that will accurately diagnose literacy difficulties in the local population. An accurate diagnosis would lead to correct identification of goals for therapy and also adequate planning and implementation of an intervention programme. Also she will attempt to develop a diagnostic tool for school-age children with possible reading or writing difficulties. Such assessment is not yet available. Ms Xuereb's research supervisor is Dr Helen Grech who confirmed that "Ms Xuereb's study is clinically essential as the results should yield a viable assessment package for early identification of written language disorders in the Maltese context. Such an assessment would be of interest to various professionals, including speech-language pathologists, educators, psychologists and paediatricians. This research project is also theoretically important and should add to scientific knowledge in relation to written language skills of bilingual children." At the University of Southampton, Ms Grech prepared for her research by undertaking a one-year taught Masters course that showed her how to assess and identify specific learning difficulties, and methods of teaching dyslexic learners. She also gained practical experience in working with pupils with specific learning difficulties. Under the supervision of Julia Kender, a senior teaching fellow in Semantic-Pragmatic Language Disorder, Ms Grech then went on to practice conceptual research skills by investigating whether spelling errors made by Maltese bilingual dyslexic learners are due to language influence or whether they belong specifically to children with dyslexia. She first developed a hypothesis that students with and without dyslexia transfer properties of their first language to their weaker language. Ms Grech decided that a qualitative technique was the most appropriate approach to use for her research. This involved conducting interviews, taking observations and analysing spelling errors made in Maltese and English to discovering what kinds of errors children were making. She took a sample of ten Maltese children, five of whom were dyslexic and five who were not. Six spoke English as their first language, while the other four spoke Maltese. To generate further insight, she also conducted a semi-structured interview of the childrens' parents. 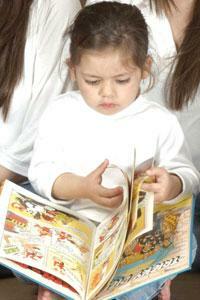 Her findings showed that childrens' first language does indeed have an influence on their second language. For example, she noticed that familiarity with a sound was transferred in the spelling of the second language, resulting in mistakes. Furthermore, this influence was primarily due to graphemic errors that share a common phoneme in both languages. English-speaking students tended to commit more mistakes than Maltese-speaking students in their respective dominant language. Also, dyslexic learners committed more mistakes, some were due to characteristics that are usually associated with the syndrome; however, a number were clearly due to lack of mastery in one language compared to the other. Ms Grech's study was small in scale; however, it highlights the fact that further investigation on bilingualism and dyslexia is needed to help educational professionals and parents understand how being bilingual can influence Maltese children. The study also shows how having to learn two languages can be extremely demanding on students with dyslexia. Furthermore, her study could make teachers more aware of the need to consider carefully their teaching strategies, especially in children's early years, which are critical in the acquisition of a child's literacy skills. Being bilingual is a positive attribute in any child's development, yet caution must be taken when the learning of one language can have detrimental effects that influence negatively a child's future learning ability. Ms Grech told The Sunday Times that her period of studies at the University of Southampton had affected her positively. She commented: "This experience has offered a professional, academic and personal growth. From a professional point of view, the course has given me the opportunity to meet, work and assess students with dyslexia in the UK. "I have been able to be part of a different educational system presenting me with a broader perspective. From an academic point of view, I have acquired knowledge and could apply theory to practice. Also, I was able to catch up and read about the current research that has been carried out in the area of dyslexia." Both Ms Xuereb and Ms Grech's research are being funded under the Malta Government Scholarships Scheme (MGSS). This and forthcoming articles on MGSS-sponsored research are presented in collaboration with the National Commission for Higher Education.